Like everyone else in our community, we were immensely saddened this week to learn that one of the Titans in healthcare at home, Bill Borne, was among the victims of the terrible rains and flooding in Baton Rouge and throughout most of Louisiana. The founder and former CEO of Amedisys appeared to have been on some sort of rescue mission as his body was found in the floodwaters near his 4-wheel ATV after he was last seen at 2:00 last Sunday morning. His daughter said she believed he had fallen and injured his head. Borne resigned in February, 2014 as CEO of the company he had founded in 1982. 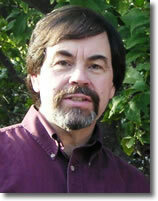 Free webinars: Bob Markette, CHC is one of our field's most respected attorneys. He will be walking through compliance issues in the IMPACT Act in a free webinar sponsored by PlaymakerCRM on August 24. Click here to register for "Brace for IMPACT: Navigating the Next Wave of Compliance." Speaking of IMPACT, we also have the details for you regarding a CMS Open Door Forum you will want to attend. As we welcome our newest HCTR sponsor, Kinnser Software, we are pleased to tell you about a free webinar they will be hosting as well, "New Rules for End of Life Care: What All Post-Acute Providers Should Know." Set for Thursday, September 1, this event will be presented by Barbara Karnes, RN, a veteran end-of-life educator and hospice pioneer. Click here or on the banner above to learn more and to register. In this week's news: Our telehealth reporter, Audrey Kinsella, has found a new remote monitoring company focused on wound care. She presents a compelling argument for the use of high-resolution photography and videography and remote wound care experts. This year's Inc. 5000 fastest growing companies has been released. We found quite a few familiar names there, both healthcare at home providers and tech vendors, some for the fourth, fifth or even ninth time. Don't miss the new product announcement from Medalogix in this week's Vendor Watch column. They are moving in the direction of helping with value-based purchasing. Lastly, note that we have rearranged the bottom of this page a bit. To make it easier for you to find online webinars that we hear about, we have separated them into their own column. Conferences and other in-person events will still be posted on the left, online opportunities for learning on the right. This does not leave room for posting your job openings but, if you send us your information about open positions you would like to place in front of 10,000 eyes, we will find a prominent place to post them. The practice of sending wound photos to expert nurses climbs to new heights with high-resolution telehealth technology from Corstrada. Conference call to be held September 15. Dozens of healthcare at home providers and tech vendors win spots on annual list of fastest growing privately-held companies. As of this date, approximately 22,616,000 Baby Boomers have become Medicare eligible.